Get into the fall season with the original super sleuth Sherlock Holmes and Music From The Television Series SHERLOCK from BuySoundtrax Records. 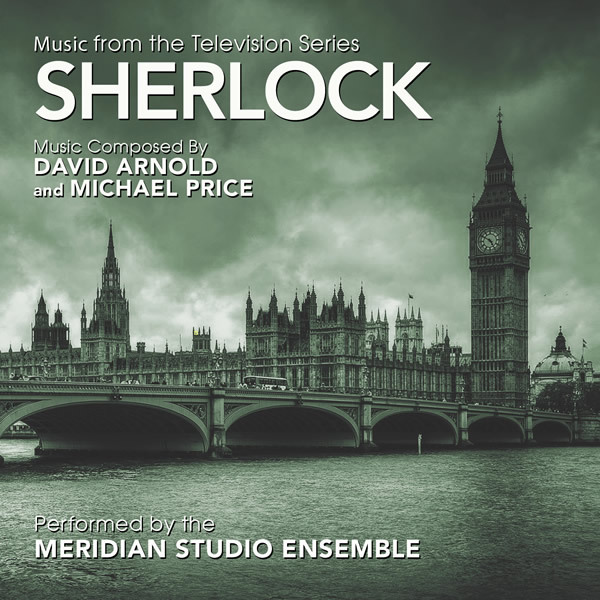 The album features original recordings, arranged and produced by Dominik Hauser, of the beloved themes from all three series of the acclaimed worldwide television adaptation SHERLOCK written by composers David Arnold and Michael Price as performed by Meridian Studio Ensemble. 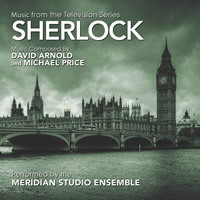 “Since its premiere, SHERLOCK has been supported by an excellent, invigorating, and kinetic musical score by David Arnold and Michael Price that wonderfully characterized the intelligence, enthusiasm, arrogance, and joy of Holmes when the game is afoot while simultaneously capturing the mood, menace, and mystery inherent in his exploits within its dark tonalities,” said acclaimed music journalist Randall D. Larson, who contributed the liner notes. Staring the breakout tandem of Benedict Cumberbatch and Martin Freeman as Sherlock Holmes and his stalwart companion Dr. John Watson, SHERLOCK is the modern retelling that has turned the world on its head. Set in current day London, the crime stoppers of 221B Baker Street take to the streets to solve the most thrilling and tantalizing of mysteries. Across three series and nine action-packed episodes, danger and murder lie around every corner - not to mention, Moriarty hiding in the shadows causing destruction. Filled with all the classic aspects that have made the Arthur Conan Doyle stories a cultural institution, SHERLOCK is a classic for the twenty-first century! Dominik Hauser says his secret to effective music is simple – you’ve got to make contact with the listener. “I am trying to write music that connects with and touches people,” he explains. “I like them to have an emotional response to what I write.” That quest for emotional potency brings terrific focus to his creative process. Hauser’s music invariably elicits powerful reactions. His inspirations range from revered classical composers to modern musical geniuses, though his work is uniquely his own and derivative of none. Originally from Switzerland, Hauser received his education there at the Jazz School St. Gallen in Switzerland, where he earned a Master’s Degree in music. His expertise extends from composition and arrangement to instrumental performance, including bass work for jazz-funkers The Ruleless. He is the recipient of the coveted Prix Walo and has taken the stage at the Montreux Jazz Festival. In 1996 Hauser relocated to Los Angeles and re-entered the education arena. His studies took him to UCLA where he delved deeply into film scoring. Subsequently he took his skills to the realm of indie cinema and began composing for film. Hauser was a privileged participant in the ASCAP film-scoring workshop in 2000 and elevated to semifinalist status at the Young Film Composer Competition in 2002. Hauser has worked on films featuring such superstars as Vin Diesel (THE CHRONICLES OF RIDDICK) and Charlize Theron (AEON FLUX). His musical work continues to involve him in a variety of projects, including cinema, theater, and video games. Hauser completed arranging and orchestration on the restoration of the first Best Picture Academy Award® winner WINGS for the 2012 Paramount Picture centennial celebration. His work for the record label BSX includes Music from the Television Series GAME OF THRONES, STAR TREK – Music from The Video Games, Music from the Films of Ridley Scott, HALLOWEEN – The Sound of Evil.